The MariaDB Developers Unconference on June 26th to 29th will be held in Tampere, Finland. 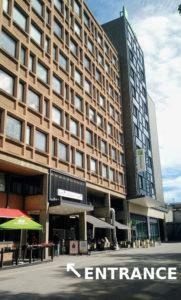 The address of the venue is Rautatienkatu 21 B, Tampere, Finland. Enter from the door right next to Holiday Inn and take the elevator to the 5th floor. Look out for the “MariaDB” signs. If the door or elevator is locked, please call the phone number on the signs. The venue is literally right next to the Tampere railway station. Depending on where you exit the train your walk to the venue will be 100-200 meters. See map link. 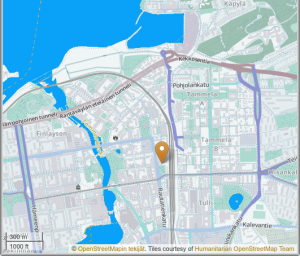 There is an airport in Tampere, but for most attendees it makes more sense to fly to Helsinki and then take the train from Helsinki airport to Tampere main railway station, which is just 1 minute walk from the venue. 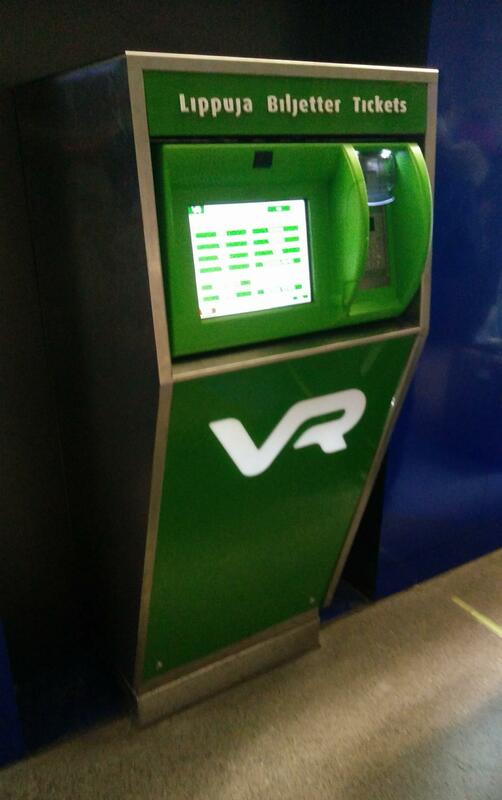 From the green ticket machines, buy yourself a ticket to Tampere (price about 21 euros). One ticket is enough, it will cover the whole journey. The ticket will tell you which train to take and your seat number. Take the local train to Tikkurila. There is a train about every 10 minutes. 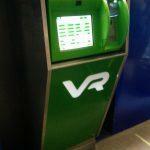 You can see schedules on vr.fi, use stops Helsinki Airport-Tampere. From Tikkurila take the train to Tampere. 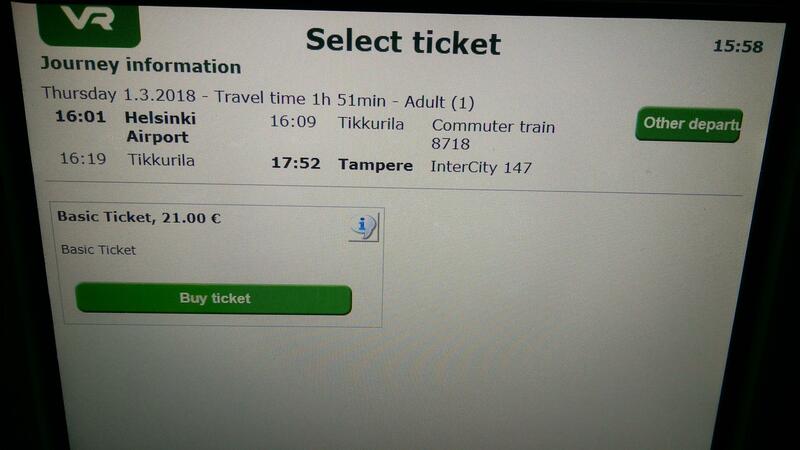 There is a train from Helsinki to Tampere once or twice per hour during the day time. Get out from the train in Tampere and walk to the venue. 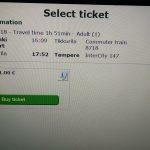 The whole trip from Helsinki airport to the venue takes about 1½–2 hours depending on the train schedules. 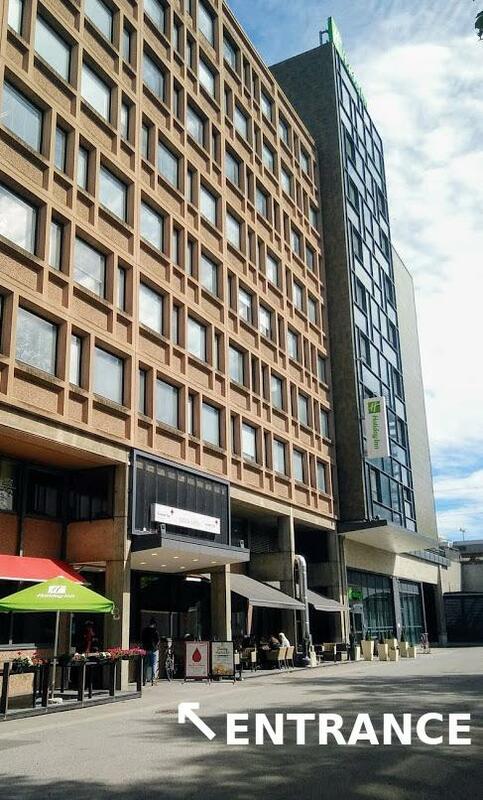 The recommended place to stay is the Holiday Inn Tampere Railway station, which is in the same building as the venue. There are also a lot of hotels around in the area and you can find them e.g. via Booking.com. If you are looking for a budget option, book your stay at the Omena Hotel Tampere, which has good rooms but low cost since it is fully automated (no personnel at the facilities). Finland is member of the EU and foreigners need to have a valid Schengen Visa. If you do not have a Visa and need one, please contact the event organizers to get an Visa invitation. It is recommended to arrive a day earlier and leave a few days after the event. 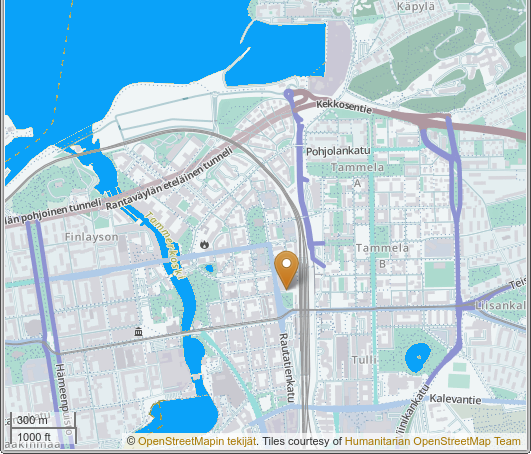 There are lots of things to do and see in the Tampere area. The city of Tampere is also rich of culture, history (industrial history in particular) and modern day marvels. The population of Tampere is 230 000 and it is the third biggest city in Finland, though for most visitors it will feel like a small and cozy city. It is still one of the fastest growing centers in Finland, and numerous major construction projects are underway. The neighboring town is called Nokia, and a pretty famous company was started there. Most foreigners will appreciate the local nature with clean air, lakes and lots of forests. Tampere is located between two lakes and the rapid streaming through the city center, Tammerkoski, has served as a power source for variety of important factories over time. You can find many old, beautifully preserved red-brick buildings that shape the city centre. The most notable landmark in Tampere is Näsinneula, which is the tallest building in Finland with the height of 168 metres (551 ft.). From Tampere you can also find multiple nice parks and cozy shores. In total, there are nearly 150 lakes in Tampere. Daily mean temperature in June is 16.9 degrees Celcius (62.4 F). During the night, the temperature may drop to 10°C (50 F) so it might be a good idea to bring a jacket. The lake temperatures are around 15 °C, which sure feels cold at first, but is very refreshing once you dip in! If you want to go swimming or experience the Finnish sauna, remember to pack your swimming suit. The specialty with a location this far north on the globe is that during the summer time it does not get dark in the nights, as the sun barely sets behind the horizon. The nightless nights are something to experience if you haven’t done so before. Do you want to experience a night that never gets dark? Due to its location up in the north, the sun does not go far beyond the horizon during the summer nights. Below is a picture taken on the 22nd of June 2017 at 02:37 in the middle of the night. As you can see, the sky is white. This is something everybody should experience at least once in a lifetime!